In Christ Jesus, there’s an incorruptible kind of life that gives you a flawless edge over the systems of this world. To enjoy the full benefits and advantage of this life, it begins with increasing your consciousness of the facts of the higher life. So, what are these facts? 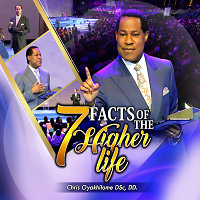 In this inspiring teaching, Pastor Chris explains what the 7 facts of the Higher Life are.